Shortly after the great community meeting that took place back in January, we reached out to Matthew Ryan of Brixmor Property Group for an update on redevelopment plans for Wynnewood Village. While he did not get back to us, a source close to the project – who asked not to be identified – said this week that LA Fitness will be the brand anchoring the historic shopping center's latest chapter with construction imminent (note: the image posted above is not a current rendering, and we'll post the correct one as soon as it's available). The source said that once construction breaks ground, we can expect completion in around 8 months. LA Fitness is just one of three new fitness centers confirmed or rumored for Oak Cliff. Rumors of a 24 Hour Fitness near Home Depot on Fort Worth Ave have been swirling for months, and Fitness Connection is coming to 2550 W Red Bird Ln. Look for an update to this story as soon as Brixmor or LA Fitness give the final word. 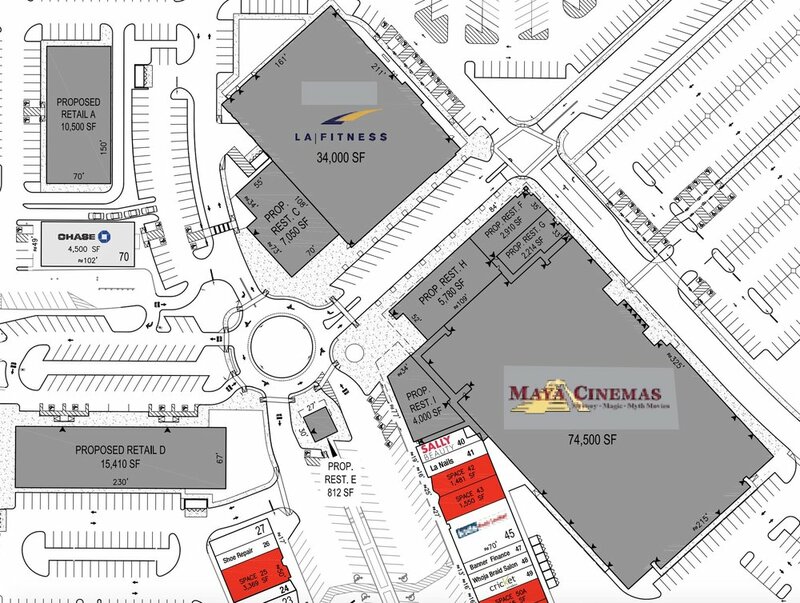 UPDATE: Brixmor has now confirmed that LA Fitness has committed to 34,000 square feet on the site of the former bank building, and California-based Maya Cinemas will open a 14-screen cineplex taking up a massive 74,500 square feet, with construction hopefully starting by the end of the year. To make room for Maya, Brixmor will need to demolish the wing of the shopping center once anchored by Payless and H&R Block. No other tenants have been confirmed for Wynnewood Village at this time. You can read the Dallas Morning News story here.